Warmer climates call for silk. 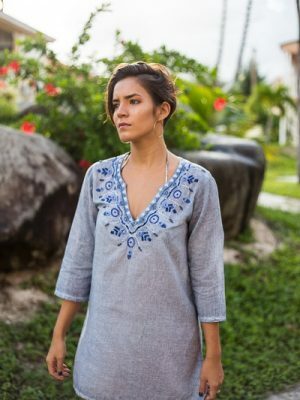 Habutai silk makes this resortwear sundress a must for vacations in paradise. Sensationalize your warm weather soirees, sip a martini and plan your day with this Turquoise Chiffon Short Coverup. An essential for your seaside escape. Encapsulate the sweetness of spring in this chiffon pirate blouse. Flowy sleeves and a drawstring neckline lends the feel of an artisan blouse reminiscent of seventies style. Travel light while staying chic via this maxi Beach dress dress. Well suited for warm weather escapes and beach events.